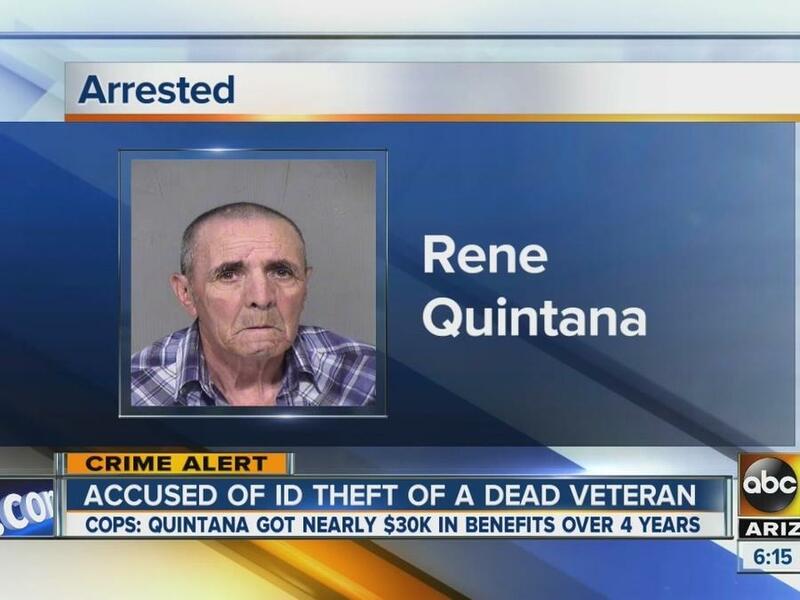 A 69-year-old illegal immigrant living in Phoenix, Ariz. has been busted for assuming the identity of a deceased veteran to get heath and social security benefits over the last four years. The value of those benefits was nearly $30,000. According to ABC 15, Rene Ortiz Quintana assumed the identity of Ruben Gallardo, who has been dead since 1994. Quintana, who has been in the U.S. for 50 years or so, was able to get an Arizona ID, a state health card and a VA choice card. The exact total of benefits doled out was $29,062.19. As a result, Quintana faces charges of fraudulent scheming, theft and seven counts of identity theft and six counts of forgery.